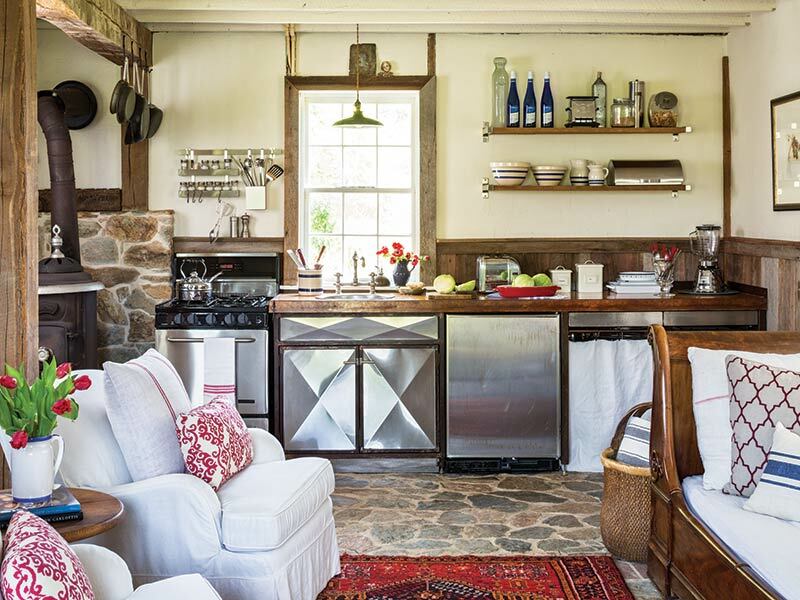 Country style is packed with character and is beautifully uncomplicated—meaning, a room revamp of this kind should be fuss-free. 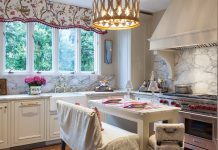 Try these three quick and simple ideas to update any space. These are only suggestions, so make the space yours by filling it with the things you love! Painted planked wood walls and ceilings are a simple way to saturate your space with country flair. The frame surrounding a painting can be a work of art in itself. Here, an extra-wide gold frame features ornate vintage detailing. 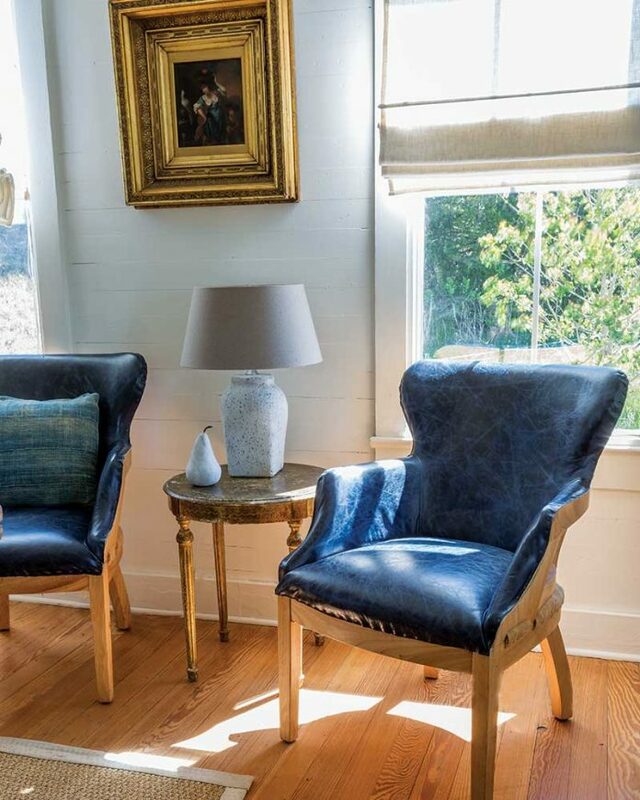 Inside, the dark tones of the portrait tie in to the navy leather on the chairs, whose unfinished look pairs rustic style with elegant lines. 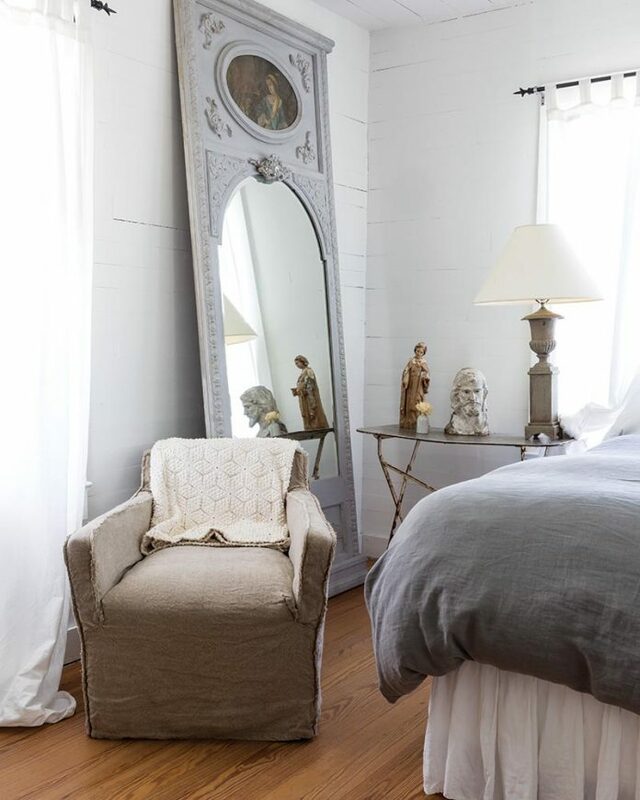 Leaning against the wall, an oversize standing mirror with carved detailing can open the room and provide interest. 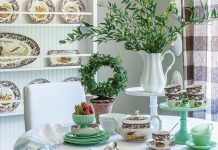 Choose a piece with a distressed finish to add vintage charm. 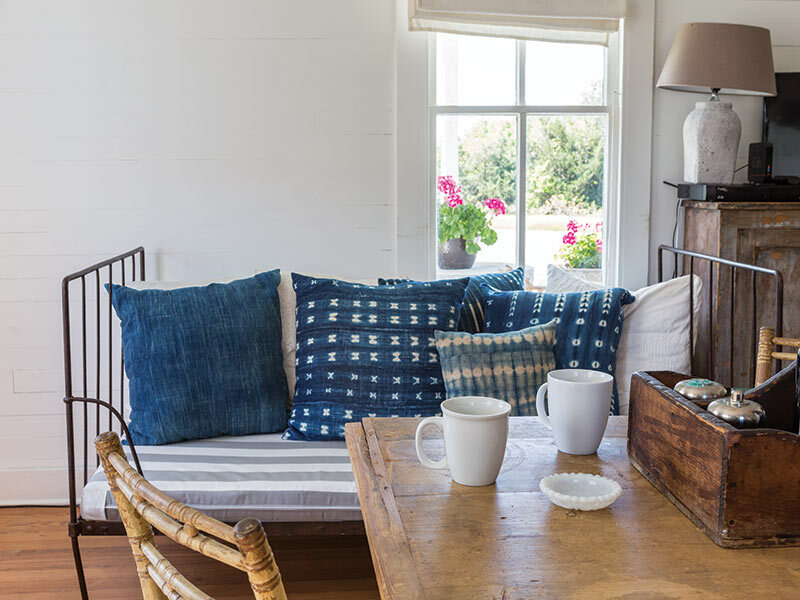 Placing a daybed under a sunny window framing radiant blooms creates the perfect cozy corner for when it’s too cold to enjoy the porch. Blue throw pillows add a touch of contemporary style to the country charm of striped fabric, simple wrought iron frame, and surrounding rustic furniture. 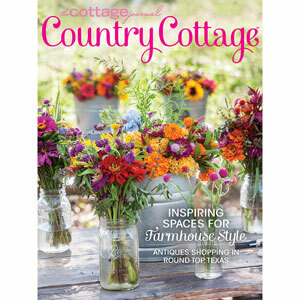 For more country cottage inspiration, take a look at the issue below!